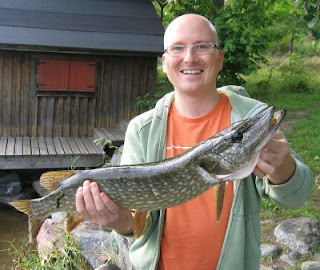 Popped down to Stockholm Ström for a couple of hours in the late evening and fished an hour into darkness. 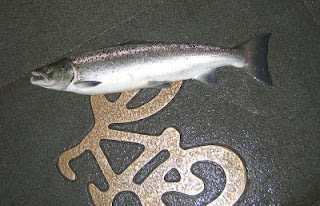 The late autumn run is begining now with both Seatrout and Salmon coming through in big numbers, with some colossal fish present. 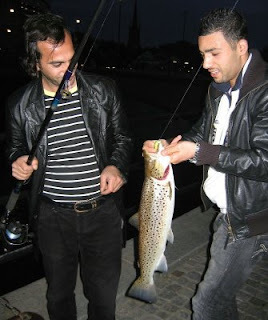 Seatrout run well over 20lb. here and Salmon as large as 50lb.! 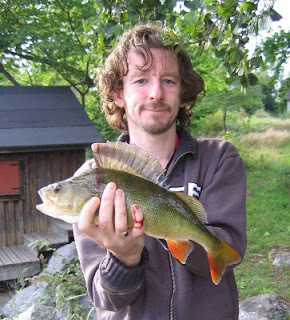 A fine day at Lidingö today with Karl and Simon, fishing principally for Perch. 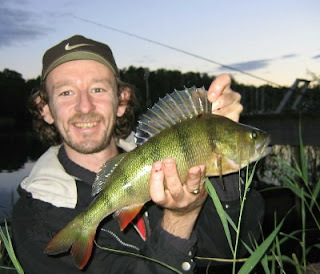 Perch came early on the legered worm, particularily to Simon who had three nice fish around the 12oz. mark. 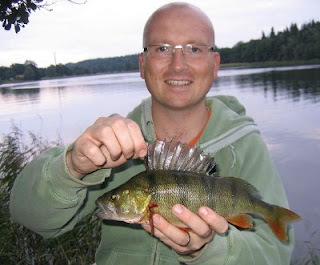 Karl then had a free roving Perch Live bait taken by a Pike of 4lb 15oz. which gave him a scare or two as it did its best to entangle itself in the reeds to our left before it was landed. A nice fish barely under five pounds gave him his first single point of the day for the table. 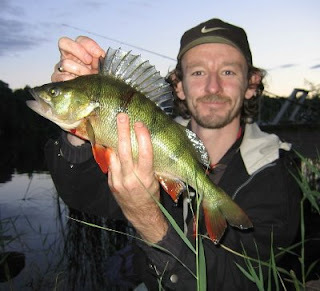 An evening session was long awaited at this spot, had been itching to try for big Perch, probably my favourite species to catch when they are bigger specimens. 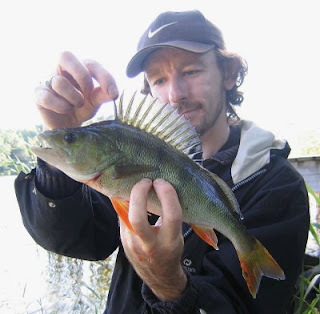 Began at about 4pm., with two float paternostered livebaits set up, complete with bobbins and bite alarms. 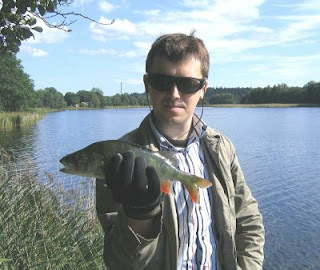 Fished another rod on the bottom with worms on a fixed paternoster.